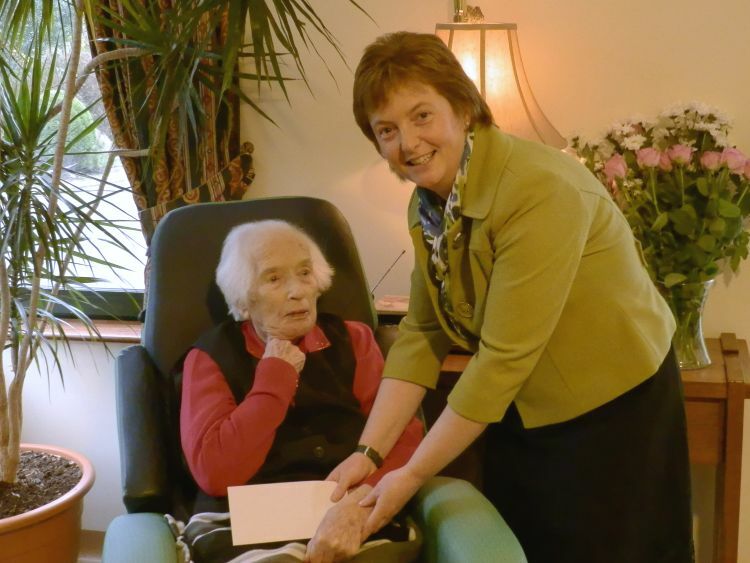 Noan being presented with a cheque by Carol McCann, matron Mount Carmel Hospital, Clonakilty, from President Michael D Higgins. Noan with her with granddaughter Mary now living in France and son Syl now living in Waterford. 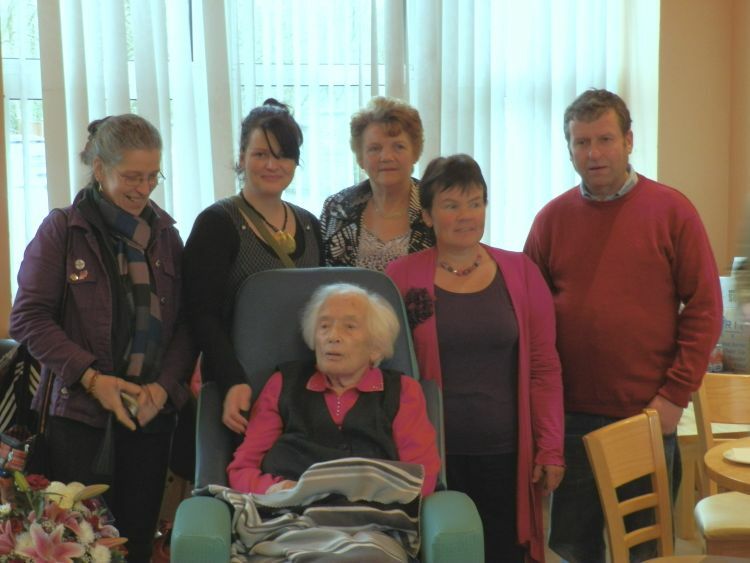 Noan Hennigan, Crustera seated celebrating her 100th birthday with neighbours l to r Utta Zahl. 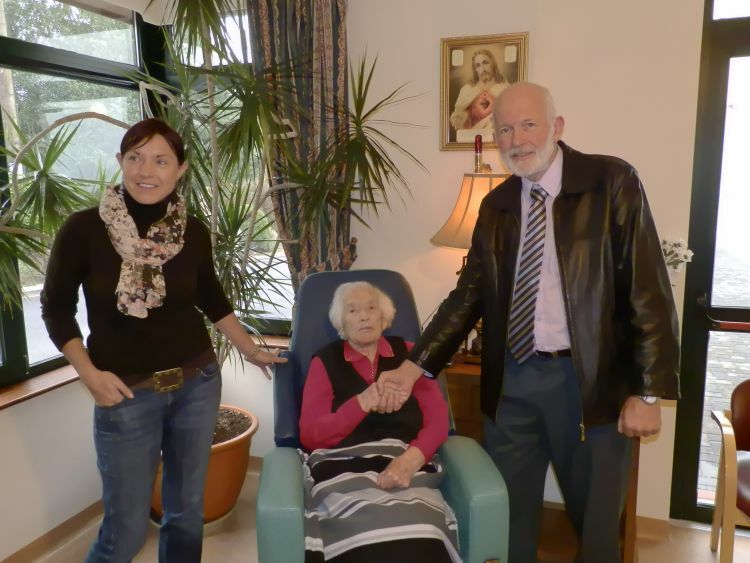 Feena Zahl, Noreen Noonan, Noreen O'Brien and John O'Brien.